When life gives you lemons, you make lemonade. When life gives you an apartment with no air conditioning, you grab some supplies and make your own air conditioner. A clever Flickr user did just that and documented his project with annotated pictures. 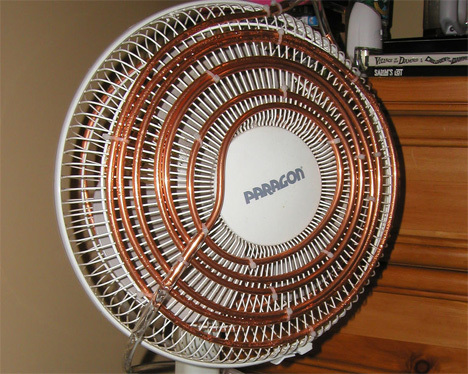 Starting off with a regular oscillating tabletop fan, he wrapped copper tubing in a spiral around the front and back of the fan. 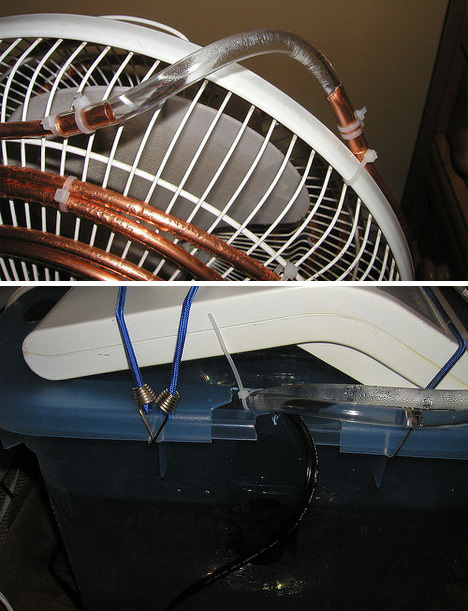 Flexible plastic tubing connects the copper coils to the reservoir below so that the fan can still oscillate. Fish tank pumps cycle cold water up, through the coils, and back down. 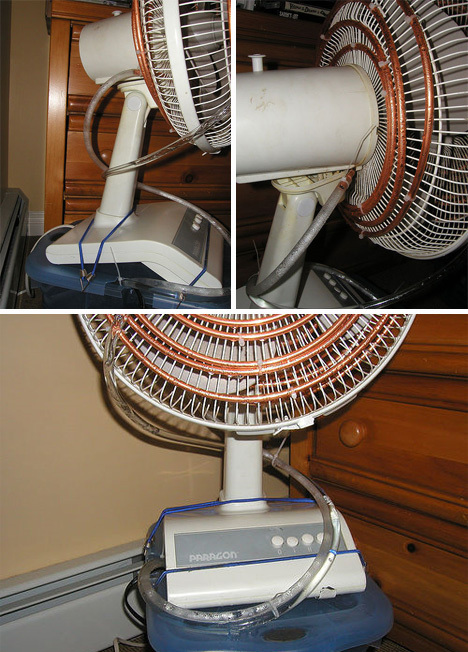 When the fan blows across the cold tubes, it creates a gust of chilly air in the room. There’s no mention of the cost involved, but this looks to be a relatively simple and inexpensive solution for homes that can’t take the electrical load of a window air conditioner. Just be careful if you try this – or any other hack involving electricity (especially electricity near water) at home. See more in Do It Yourself or under Technology. December, 2009.